The National Ballet of Canada has for a long time been a fervent defender of Benesh Movement Notation. It has employed for many years full time Benesh Notators as well as welcoming guests Choreologists from around the world. I have just returned from there where for several weeks I was setting Christopher Wheeldon’s Ballet The Winter’s Tale with the ballet mistress Jackie Barrett. This ballet is a co-production between The Royal Ballet and the National Ballet of Canada. During my time there I had the opportunity to offer a one week work experience to a young notator Nagisa Inoue. 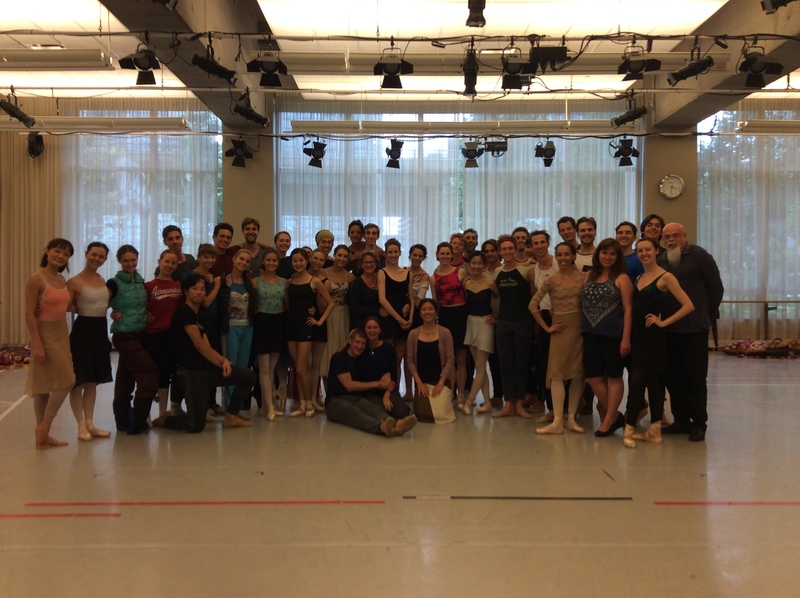 I am very grateful to Karen Kain (director of NBC) and the whole of the company for welcoming Nagisa to shadow me. I was introduced to the Benesh Movement Notation (BMN) by Rhonda Ryman at Canada’s National Ballet School’s Teacher’s Program. I completed the Certificate Correspondence course from the Benesh Institute in London. Since then, I have been very curious to see how notation is applied in a ballet company and what notators do in order to remount a ballet. 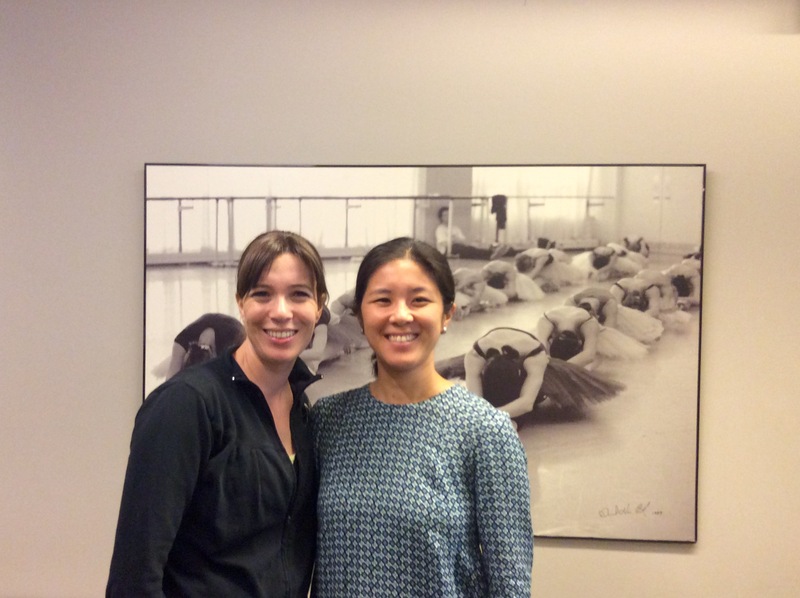 Fortunately, after several email exchanges, I was given an opportunity to observe how notation works with the National Ballet of Canada with Royal Ballet Senior Notator Anna Trevien who was invited to Canada to remount a ballet. On July 27, 2015, my work experience at the National Ballet of Canada started and during this week I was privileged to witness a professional dance notator’s work within a professional ballet company. On the first day, Anna assigned me to notate a duet/trio of Leontes, Paulina and Antigonus from the ballet The Winter’s Tale. It was quite challenging for me to notate partner work and floor work, since I have not practiced my notation for a while. I had to revisit my study notes and review the theory. When I was discussing with Anna about my notation project, Anna commented that notation could be very analytical and there are several ways to notate dance. However, you need to remember that the Benesh Notation score is not only to preserve, but also to teach dance and remount the work. Notators need to provide useful information for dancers. During the rehearsal, Anna was regularly checking her notation and occasionally adding information into her notation score. Benesh Notators do not just sit down and notate dance! I learned notators need multiple skills. They need to teach dance and understand how rehearsals will progress and estimate how much time dancers need to learn the work in limited rehearsal time. Anna rehearsed two groups of dancers separately on the first day and put them together on the next day and eventually included the principal dancers. It was exciting to watch so many things happen in the studio at the same time. Notators need to communicate with the choreographers, dancers, musicians, ballet master (mistress) and even the wardrobe mistress. This is necessary since the “notation score package” has a lot of information including: choreographer’s notes, dancer’s count, which is often different from the musician’s count, costume and stage set details. During and after my work placement, I was thinking about why people notate dance? One obvious reason is to preserve work and the other reason is to remount the work in the future. It is possible to write notes in words to reproduce ballet, however, each person will interpret them differently and it is difficult to explain movements in words. BMN is a common language, which was invented solely to write movement and help remounting the ballets. I think that technology has many useful tools to offer in media equipment. However, often a video recording does not show the entire stage and people might be performing differently every time, which may be inconsistent with what the choreographer intended. I hope that people who are involved in dance and dance education continue to appreciate that the Benesh Movement Notation is a valuable and useful “language” – it is easy to learn the basics. This was a very significant week for me to witness first hand the role of a Benesh dance notator’s in the studio . This experience definitely helps and reinforces my understanding of the importance of using Benesh Movement Notation in the dance community. Really interesting and I am in admiration!